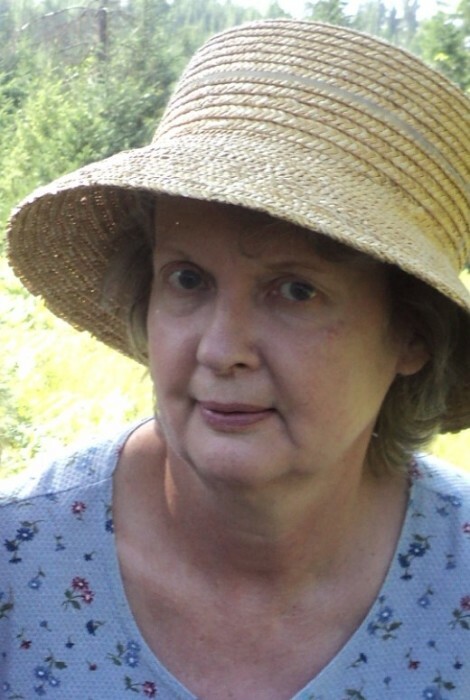 Deborah Jean (Dare) Burton, 65, went to be with her Lord Jesus and family in Heaven on April 10, 2019. She was born on Mar. 24, 1954 in Portsmouth, Virginia to Clifford and Hazel Dare. She had two younger brothers Mitch and Casey Dare. Debbie grew up in Troy, Montana in a modest household that believed in a strong work ethic that carried into everything they did. She was raised, with her brothers, with the love of the great outdoors, farm animals, and gardening. Debbie moved to Missoula after High school to see what adventures life would bring; like backpacking through Europe and trips throughout the states. She wed and was blessed with a son, Chaz Burton. When Chaz was a baby she moved back to Troy to live close to family and to raise her son. Debbie was a loving mother who was always there for her family, friends, community, and extended family at Three Lakes Bible church. Looking back her son realizes how solid she was and always there for him, no matter what he did, a true example of unconditional love and grace shown to her by God and she lived that out in her life. Debbie loved her grandchildren, her birds, walking the Milnor Lake loop, flowers, spending time with friends, and caring for her parents. She will be deeply missed and thought of often by her family but we are very grateful in the reassurance and hope in the Lord Jesus Chirst to be with her again in heaven. She was preceded in death by her parents Clifford and Hazel, and brother Mitch Dare. She is survived by her son Chaz (Breana) Burton, grandchildren; Kiera, Brogan, and Deegen and a brother Casey (Diane) Dare. A celebration of life will be held at 2:00pm on April 20, 2019 at Three Lakes Bible Church, all are welcome. Arrangements are by Schnackenberg Funeral Home in Libby. Online condolences and memories may be shared at www.schnackenbergfh.com.